Being asked to be maid-of-honour is indeed an honour in itself. Being chosen by the bride to lead the “pack” and see that every little detail is accounted for before the big day might be a daunting task but it’s really fun and worth it altogether. It’s a common misconception that maids-of-honour are only responsible for tasks during the wedding ceremony but actually, most of their tasks happen a week and hours before it. We have listed down 10 important maid-of-honour responsibilities that you might miss out! Bachelorette parties, bridal showers, bridal parties… They all call for one thing – make the bride feel special and well-celebrated before the big celebration! As maid-of-honour, you are tasked to organise all these parties and make sure they go smoothly. From the venue, catering, guests, gifts, party programme, and favours, you have to keep everything organised. Feel like it’s a lot? Don’t worry because you have the whole pack of bridesmaids to help you out! The goal is to make it memorable and all about the bride! Choosing the perfect wedding dress can be an overwhelming task. It takes a lot of decision-making and consecutive fittings before the bride finally decides. As maid-of-honour, you must attend these fittings for the bride and bridesmaids and make sure they don’t go out of style. You can get inspiration from blogs and magazines and it’s good to research on what’s the appropriate style that compliments the bride’s taste. 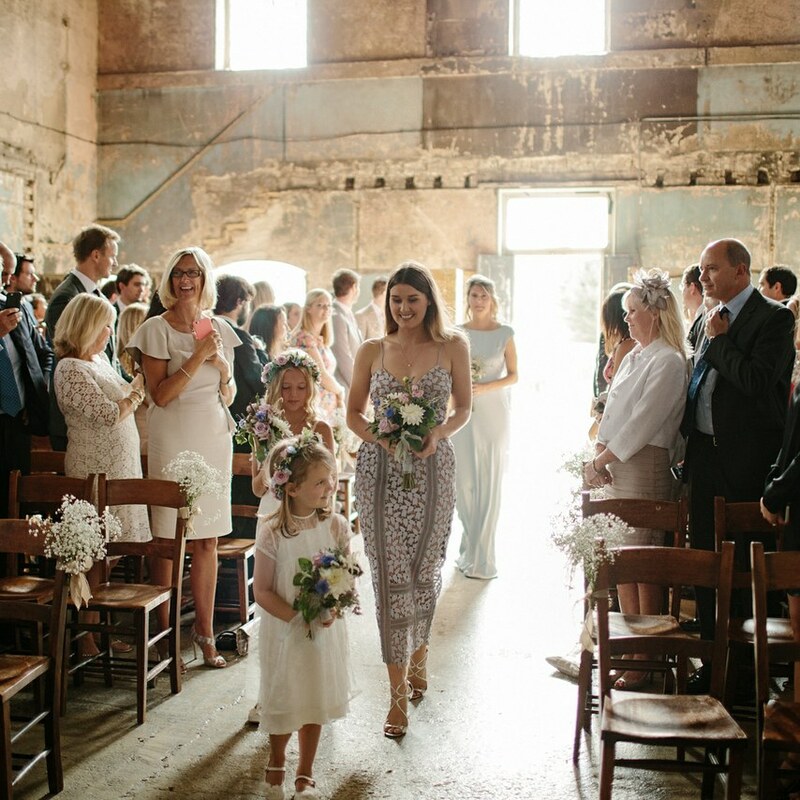 You can be the resident style curator even for the bridesmaids’ dresses too! The wedding can be stressful to the bride and it’s a maid-of-honour’s task to attend her every concern and make sure she stays excited and happy before the wedding. Some brides can get too overwhelmed or nervous as the day approaches. Always lend a helping hand and ear to her whenever she feels this way. Be the superhero during difficult decision-making and give your honest advice and tips to sort it all out. Share your ideas and feel free to point out careless decisions too. It’s the wedding day and the preparation hours before it could be nerve-wracking! Make sure the bridal party is ready, picture-perfect, and on time for the ceremony. Prepare their dresses and have their make-up artists on standby. Also prepare their bouquets and make sure that the glam room atmosphere is calm and organised. Watch out for any unexpected incidents like wardrobe malfunctions and literally anything that could go wrong! Ever watched Harry Potter? Well, he has a pet owl in the movie named Hedwig and usually does any messenger-related tasks. As maid-of-honour, you must be the bride’s Hedwig on the wedding day for any love notes or gifts that should be sent across the couple’s glam rooms. You must know that the bride and groom should not see each other hours before the ceremony so it’s nice to be their messenger and be the sender of love for just a while. After all the beautiful chaos before the wedding, it’s nice to take your moment as you walk down the aisle. The maid-of-honour usually goes first on the entourage so it’s nice to open it with grace and poise. Even though you’re responsible to making the bride and bridesmaids look glamorous, you must also think about how you look. The wedding preparation might be stressful but it’s something you don’t want to look like! As maid-of-honour, you should make sure that the ceremony runs smoothly and that you are ready if ever the bride needs your help. You might have to arrange her train or veil, or even hold the bouquet for her if she runs out of free hand. You can also sign as a wedding witness on their marriage license/contract. You and the best man should be work hand in hand to make sure nothing goes wrong and the ceremony runs peacefully. One last thing to pull off is the reception. Make sure that the bride is well-assisted for huge and small favours like going to the bathroom or getting her a drink or two. Also make sure she eats well and enjoys traditional activities like cake slicing, releasing of doves, throwing of the bouquet, and the whole programme altogether. Make sure you’re at her sight all the time if she needs any help. As with every celebration, it’s nice to give a toast to the celebrants and give a short (or long) message to the couple and the guests. You might really have to prepare a written speech to not forget anything you want to say. You can go back to the day you met the bride and how your friendship grew as the years went by. You can also give thanks to the guests for the meaningful ceremony and for attending the celebration. This is your chance to express your thanks and appreciation so make the most out of it! 10. Prepare for the after party! Modern weddings usually have after parties after the reception. The bride might need your assistance on changing to her party dress. Make sure the bride enjoys it and watch out for her when she has too much to drink. If the wedding does not have any after parties, you can still assist the bride when she leaves the venue and prepare her for the honeymoon. This is your final task as maid-of-honour! There you have it! I’m sure we covered up all the tasks you need to consider if you’ll be maid-of-honour soon. Don’t forget these responsibilities and to also have fun. Weddings only happen once in a couple’s life and to be a big part of it is really precious. Make the most out of it!